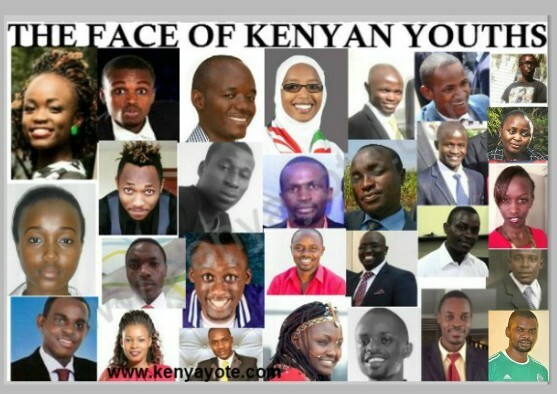 Find below list of Kenya’s most influential youths and links to their profile or work. These are the educated, young and outstanding members of society. Most of these Influential Youths have finished a degree and have an all-round level of intelligence with knowledge in different levels. Some of these Kenyan youths have been featured in reputable magazines like Forbes 30 under 30, Times 100, CNN, BBC, Huffingtonpost influencers e.t.c. They have also received different global and national awards for their outstanding work. Abdi Siyaro Osman is a youth advocate who served as the the Speaker of Youth Senate Kenya. Ashura Michael is a gender & human rights activist; a mentor for young PWDs and a global Youth/peace ambassador . Babu Owino is a young leader and has served as the chair of University of Nairobi student organization for 3 terms. He also has interest in real estate. Boniface Mwangi is an award winning photographer and photo-activist. He is the founder of PAWA254 a social enterprise and collaborative space for creatives and youth to achieve work of social impact. Dennis Itumbi is a Kenyan Journalist, Digital Strategist and Blogger. Currently working as the Director of Digital Communication in the Office of the President , Kenya. Eddy Gicheru Oketch is the founder of Peace for Africa and Economic Development, (PAD) an org that identifies vulnerable youth groups in remote communities in Kenya and help them build businesses. Erick Omondi is among the top rated comedians in Kenya. Eugene MbuguaHe is a young entrepreneur and award winning film maker. Eugene Mbugua runs two companies Young Rich Television Limited and My Yearbook Kenya Limited. Grace Mageka is a pan African youth advocate, activist and leader who advocates for better youth policies in Africa. She is also a mentor, social change maker, a counselor and an innovator. Hilda Moraa is the Co-Fouder of Weza Tela a leading provider of innovative and mobile solutions in the supply chain, distribution and financial solutions in the emerging markets. Josephine Kulea is a child rights activist and founder Samburu Girls Foundation which addresses barbaric cultural practices facing children in the pastoralist communities of Northern Kenya. Josphat Gachie is the founder of SoftKenya and one of Kenya's top tech Gurus. Martha Chumo is the founder of The Dev School. The The Dev School equips youths in Africa with computer programming skills and aids them build technology-based solutions to everyday challenges. Mumbi Ndungu is the Founder of Ibua Africa org, which deals with identifying, empowering and connecting Change-makers and social entrepreneurs across Africa. Renowned blogger and internet activist, writer and photographer. Robert Alaiis a blogger, internet entrepreneur and cyber-activist. Stacey Saida Chepkemoi is the Youth President at Bomet County Youth Forum. She is also the the Bomet County Coordinator, National Association of Young Entrepreneurs. Wahome Thuku is a City lawyer and a famous political commentator. He is a trendsetter. Xtian Dela is a radio presenter, Trendsetter and award winning social media personality with a large number of followers on twitter.